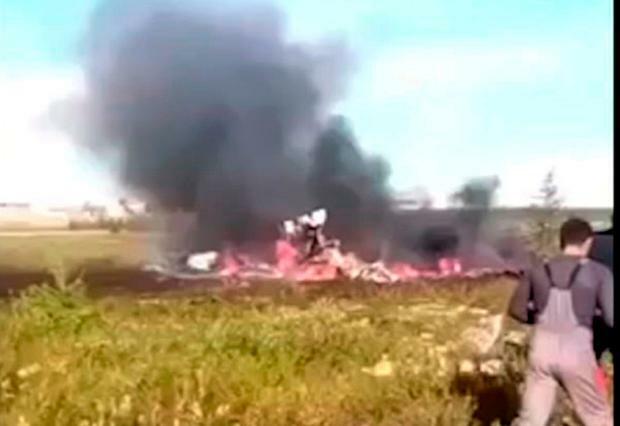 Eighteen people were killed when a helicopter crashed shortly after take-off in Siberia when its rotor blades collided with another aircraft. The UTair airline, which operated the Mi-8 helicopter, said preliminary information indicates the aircraft’s blades hit another helicopter that had just taken off from the same pad in Vankor, above the Arctic Circle about 1,600 miles north-east of Moscow. There were 15 passengers and three crew aboard, the airline said. The second helicopter involved landed safely. Russian news reports said all the passengers killed are believed to have been working for a subsidiary of the state oil company Rosneft. UTair, one of Russia’s largest airlines, operates an extensive fleet of helicopters serving Siberian oil fields as well as fixed-wing flights within Russia and to international destinations, mostly in former Soviet republics.